Our country has made great strides in reducing the use of cigarettes and educating Americans on the dangers of smoking. The medical community has made it a priority to research the impact of cigarettes and encourage smoking cessation to reduce the incidence of lung cancer, aero-digestive cancers and other smoking related disease. Now comes the rising popularity of e-cigarettes or vaping. We are continuing to learn more about health risks associated with vaping. It is by no means the “healthy alternative” that marketing campaigns portray. Recently, FDA Commissioner Scott Gottlieb declared, “We see clear signs that youth use of electronic cigarettes has reached an epidemic proportion, and we must adjust certain aspects of our comprehensive strategy to stem this clear and present danger,” in addition to ordering manufacturers to prove they can keep the products away from minors. 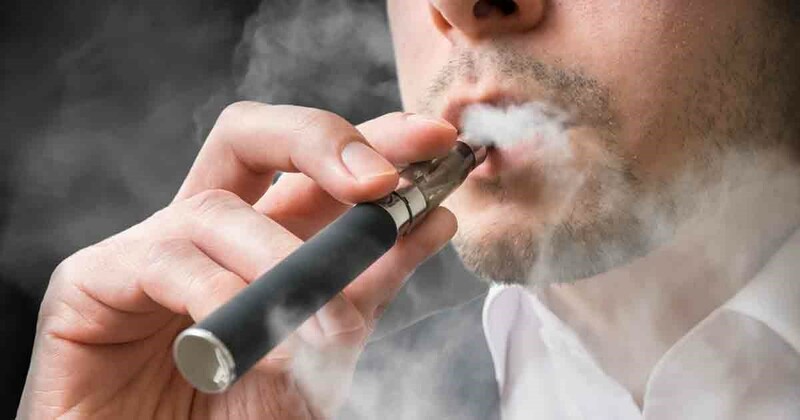 Further, in a landmark development, the FDA announced it will now impose new restrictions on the sales of flavored e-cigarettes, limiting them to closed-off areas in stores that are not accessible to children. These are important, laudable steps toward reducing the use of e-cigarettes among minors. E-cigarettes surpassed every other kind of tobacco product in 2014 to become the most commonly used form of tobacco among young people in the United States, with use among high school students. about ecigarettes’ persistent popularity. It is important to understand the prevalence of e-cigarette use and why action must be taken to reduce its growth. Between 2011 and 2015, the use of e-cigarettes among high school students jumped by an astonishing 900 percent. Estimates claim as many as two million U.S. high school students have vaped, and that number is only growing. Promoted as a “cooler,” safer way to smoke by young adults, magazines and influential blogs, vaping has established a firm culture among adolescents while avoiding regulation that would limit its use. The Centers for Disease Control and Prevention found e-cigarettes to contain carcinogenic compounds similar to those found in cigarettes that contribute to lung and throat cancer. Other studies show that lead and other heavy metals are often inhaled while vaping, and even the popular flavors touted by users are shown to be dangerous; buttery-flavored diacetyl has been linked to serious lung disease. Additionally, there is no long-term research that shows these products reduce the likelihood of smoking cigarettes. The FDA does not recommend vaping as a safe alternative, as it still causes harm to the lungs and can be addictive. The chemicals found in e-cigarettes are especially harmful to pregnant women and adolescents, which can lead to long-term, harmful side effects. At Cancer Treatment Centers of America, one of my priorities is educating the public about the threat of lung, throat and other cancers tied to smoking. While they may not have the reputation that cigarettes have, it is clear that e-cigarettes and vaping present their own health hazard. An specializes on diagnostic and therapeutic procedures for lung and thoracic cancers. They also treat airway diseases that may complicate malignant and non-malignant conditions of the chest. Vaping is not “cool” and it’s not a healthy substitute for cigarettes. It harms the lungs, which could lead to long-term damage. The chemicals in e-cigarettes can lead to side effects that may impact adults who smoked e-cigarettes as teens. Most e-cigarettes contain nicotine, which is addictive and can lead to cancer. The next step in our fight for a healthier America must be a reasonable, constructive policy that limits the use of e-cigarettes among adolescents and a commitment to further research on the long-term effects of these products. For many people, smoking and drinking go together like bacon and eggs or hot dogs at a baseball game. But when it comes to cancer risk, , MD, Primary Care and Intake Physician at Cancer Treatment Centers of America in Phoenix, compares alcohol and tobacco to a more volatile pairing. “It’s gasoline and matches,” he says. Tobacco and alcohol alone each increase the risk of several cancers. Combined, these two habits significantly increase the risk of cancers in the aero-digestive tract—the lips, mouth, larynx, pharynx, throat, esophagus and colon. “It is well known that smoking and drinking at the same time significantly increases the risk of many cancers,” says MD, Director of Interventional Pulmonary Medicine. “Just one cigarette can increase your risk of cardiovascular disease,” Dr. Jaber says. “It increases your blood pressure and adds cumulatively to the risk of cancer over time.” Each time a smoker inhales a lit cigarette, a chemical chain reaction erupts that creates dozens of carcinogenic compounds. These compounds in the cigarette smoke are sucked through the lips, past the tongue and mouth, down the throat and into the lungs, causing inflammation in all those body parts and exposing them to cancer-causing chemicals. Once in the lungs, compounds from the smoke are absorbed into the bloodstream and spread carcinogens to the rest of the body. Cancer Treatment Centers of America in Phoenix offers a comprehensive and integrated approach to treating lung cancer. Multidisciplinary cancer experts work together with a synergy that comes from dedicating their time and energies to a single mission—treating lung cancer patients . 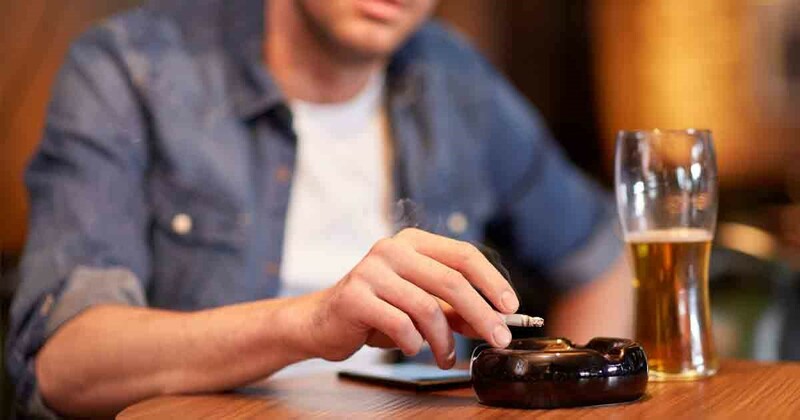 Tobacco smoking “can cause cancer almost anywhere in your body” and is linked to 90 percent of all lung cancers, according to the U.S Centers for Diseases Control and Prevention. Cigarette smoking is the leading cause of preventable disease and death in the United States, contributing to more than 480,000 deaths every year. Discuss quitting options with your doctor. Cold turkey is admirable, but more than likely, it isn’t sustainable. Avoid triggers. Does drinking alcohol make you want to smoke? How about being around second-hand smoke? If you always smoke after a meal, find something to replace that cigarette (other than an e-cigarette!) – and avoid other triggers – to help break the habit. Consider counseling. Others want to help. Take them up on it! Be accountable. Loved ones want to help. Tell them you’ve decided to quit so they can help you through the tough times. Celebrate successes. You may not quit right away, but you may smoke one fewer cigarette in a day. That’s progress. Celebrate it! About the tobacco cessation program at Cancer Treatment Centers of America. Cancer Treatment Centers of America (CTCA) is a comprehensive cancer care network of hospitals and outpatient care centers in Atlanta, Chicago, Philadelphia, Phoenix and Tulsa. Specializing in the treatment of adult cancer patients, CTCA offers an integrative approach to care that combines surgery, radiation, chemotherapy, and immunotherapy with advancements in precision cancer treatment and supportive therapies designed to manage side effects and enhance quality of life both during and after treatment. If you or a loved one been diagnosed with cancer, CTCA is here to help. about its expert clinical teams, innovative treatment options, and resources for those fighting cancer.